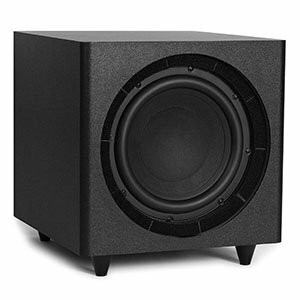 Buying a subwoofer under $200 proves to be one of the best ranges for great performance while still staying relatively inexpensive. Many of the models here perform on par with more expensive offers, but are generally nurtured in the features department. For most, that won’t matter. Performance is king and this price bracket proves why that is the case. A solid, tight, and consistent low-end is at the forefront, with little messing around otherwise. While tweaking isn’t the focal point, these subwoofers sound fantastic. Simple design which builds on the standard down firing pattern. Great set of hardware including an awesome 8" cone. Features awesome proprietary tech that enhances the performance. Good sound with plenty of detail to it. An 8" cone sometimes feels underpowered. Yamaha’s mid range selection of subwoofers is full of awesome solutions. One that we liked is the Yamaha YST-SW215PN. It delivers great features, solid performance and overall efficiency. In terms of bang for the buck, it’s absolutely among the better builds out there. If you’re looking for an optimal setup for your home theater, this model is worth looking into. On paper there’s nothing too special about this particular sub. It packs an 8″ cone paired with a 250 Watt amplifier. However, in person ti is a much more impressive setup. Yamaha’s QD Bass technology and Active Servo tech really alter the performance you can expect from this build. With the frequency response range of 20-170Hz, it’s digging in deep. Clean, neutral design that goes well with any aesthetic. Good build quality and choice of hardware. Plenty of volume coming from a 115 Watt amp. Clear bass even as low as 28Hz. Not the most compact unit out there. Sony’s offering in this segment is geared heavily towards home theater rigs. Models such as the Sony SACS9 make it fairly easy to put together a system which will have all the low end power you could need. 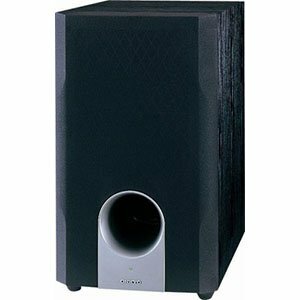 It is a clean looking, side firing subwoofer which has a pretty conservative aesthetic to it. You could say it’s perfectly neutral. Under that cabinet hides a fairly interesting hardware setup. 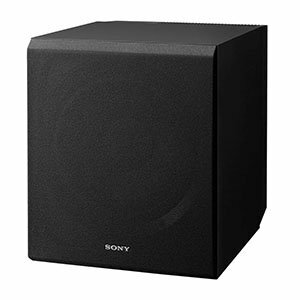 Sony went with a 115 Watt amp which is hooked up to a 10″ foamed-mica cellular reinforced woofer. What this means in practice is a very deep bass that goes all the way down to 28Hz without losing its clarity. On top of that, it definitely packs more than enough volume. A compact subwoofer which packs plenty of juice. Features quality MDF cabinet which adds to the performance. An 8" cone paired with a 150 Watt RMS amp. It's missing a few features we'd like to see. Whether you are running a light home theater setup or you need a decent sub for your bookshelf speakers, Polk Audio PSW111 is a great way to go. This sub is pretty compact, features a neutral design and overall stealthy aesthetics. Overall, Polk Audio did a great job at designing something that will fit into any style you’re going for. The hardware tells an interesting story. Polk Audio basically took an 8″ cone and paired with a 150 Watt RMS amplifier. The amp can deliver 300 Watts of peak power, thus giving you plenty of headroom. The overall sound is tight, well structured and deep. The only thing that is missing is a more extensive set of controls and features. A classic design that has been proven numerous times. Features a 10" cone that is quite responsive. Packs a lot of power which ensures lots of headroom. Tight sound with good clarity and range. It's fairly chunky which makes positioning somewhat tricky. Klipsch home theater systems are by far some of the best you can get. Especially if you’re aiming for the mid range segment. With that said, their subwoofers enjoy the same reputation. 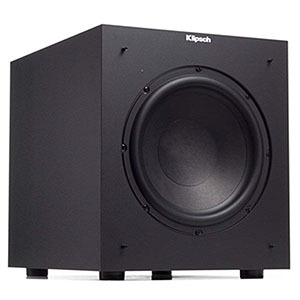 Models such as Klipsch K100-SW are among the favorites of both loyal Klipsch fans but also those who are building systems based on other brands and their gear. What this sub offers is a rock solid construction that utilizes the standard side firing design. Klipsch used a 10″ cone and a 250 Watt amp. K100-SW comes complete with a low pass crossover as well as phase control. In terms of raw performance and sound, it will give you that tight low end with plenty of headroom to spare. A different, agile design that works best in tight spaces. Features a 10" cone in a slim package. 230 Watt amp gets the job done just fine. Simple aesthetic that is neutral enough for most systems. Not the easiest subwoofer to position. Despite being part of a very diverse market, it is no secret that most subwoofers are using one kind of design. We say most because there are models such as the Onkyo SKW204 which offer something quite different. The idea behind this particular subwoofer is to get you the larger cone in a package that is somewhat compact and agile. At its core you have a 10″ cone paired with a 230 Watt amp. The sound is tight and offers a decent amount of range. One thing to keep in mind is that tall cabinets have a slightly different signature which you need to take into account when setting up the subwoofer in your room. Overall, it’s a great package. Design created by Andrew Jones gives it character. Packs a down firing 8“ cone that moves serious air. Good sound quality with plenty of clarity. Comes with a great set of controls and features. It is slightly underpowered for an 8“ unit. If you are into more custom designs, Pioneer SW-8MK2 might be up your alley. For starters it’s different from most subs out there. Designed by Andrew Jones, this sub is optimize to give you the best bang for the buck. Overall, it is a great solution for budget builds where you want a bit more juice in the low end. What you are looking at here is a down firing subwoofer that uses an 8″ long throw cone paired with a side firing bass reflex port. The amp delivers up to 100 Watts of power, which makes it somewhat underpowered compared to most. 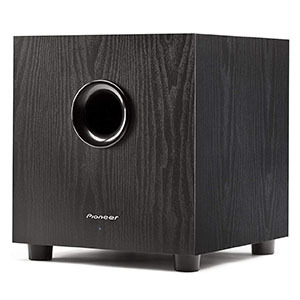 Considering the frequency range of 38-150Hz, this Pioneer fills that workhorse niche quite well. It’s pretty agile. A simple, no nonsense design which works. Decent hardware that offers good performance. Down firing bass reflex port adds a bit of girth. Decent controls allow for some tone customization. A fairly underpowered amplifier is the only downside. 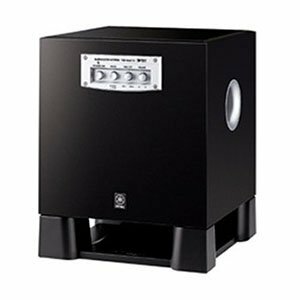 Micca’s MS-10 is a pretty straight forward subwoofer which is streamlined for performance. It’s definitely not one of those models which are decked out with all kinds of features and latest tech. On the contrary, Micca kinda went for the best bang for the buck possible. As such, MS-10 really offers plenty of value for your money and then some. The hardware inside reflects its simple nature. You have a 10“ front firing cone that is paired with a down firing bass reflex port. In terms of power, you are looking at 120 Watts of peak power. That is not a lot by current standards, but it gets the job done. The sound is massive enough, clear and plenty tight. $200 is the perfect spot for a subwoofer. While jumping to $300 will grant more in the way of features, not much will improve in terms of quality. Similarly, going up to $500 will offer improvements in terms of quality and features, but it may feel like you didn’t get the greatest value for the money. For that reason, this price bracket is really the sweet spot in terms of value. Solid performance is granted at a relatively low price point, not compromising the sound or the pocketbook. The best subwoofers on the market prove themselves in their performance. However, they generally have a feature-rich design as well, including options to tune the speaker, enhance the low-end (with subharmonic excitement), and more. This price range improves over subwoofers under $100 in a big way by the simple addition of a phase reversal switch. What this basically means is that the sub can fire in phase with the rest of the speakers in your set up so you don’t lose anything in perceived low-end. This is hugely important, especially with a subwoofer, because out of phase speakers can nullify the sound almost completely. Outside of that, models under $200 lose out a bit in terms of features. Expanded tweaking and subharmonic enhancement controls are not present, knocking thems down just a bit over more expensive options. 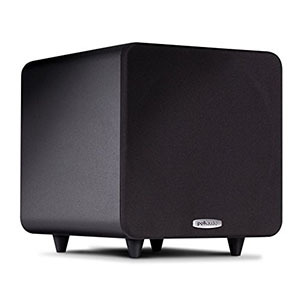 Looking for a subwoofer proves to be a visual endevour as much as an auditory one. Thankfully, in this range they break the mold out of the stock looks of more inexpensive speakers. While they don’t venture too far outside of the mold, they are more unique, offering a more thorough design process and an overall refined look. Black boxes with beveled edges are still the focal point, but a lot of the design of these speakers go internal. The design on the interior of the cabinet helps significantly in terms of performance, proving the experience of these brands to be of a higher caliber than more inexpensive options. The sub-$200 price range for subwoofers is fantastic. Sound that hits well above the price show that these picks are expertly designed, giving an excellent price to performance ratio. Improvements in external and internal design over cheaper options is a huge plus, leading to a very justified investment overall. While lack of features is disappointing, the performance is excellent, making them feel much higher quality than the price would suggest.